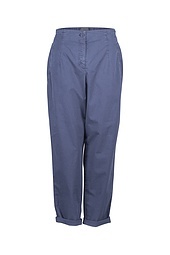 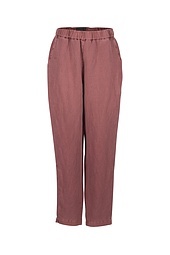 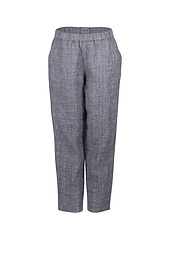 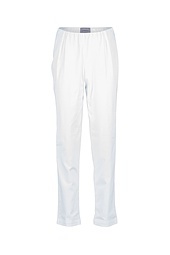 These narrow slightly conic-shaped OSKA trousers are clean, cool and wonderfully casual. 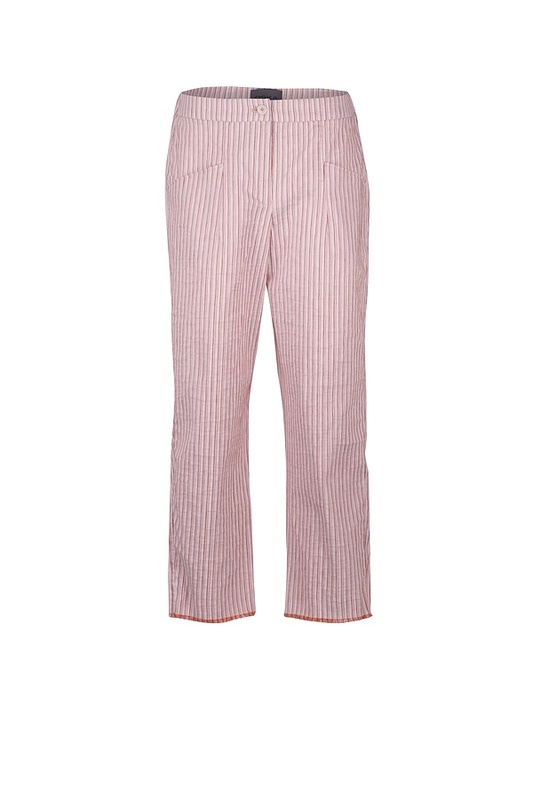 Feminine playful details such as the open weave edges at the seams add a summery flair. 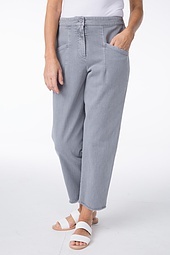 Striking pockets correspond with the zipper and hood’s sporty character. 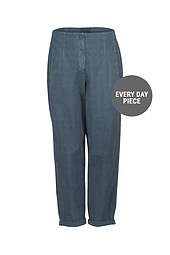 A back elastic waistband signals wearing comfort.